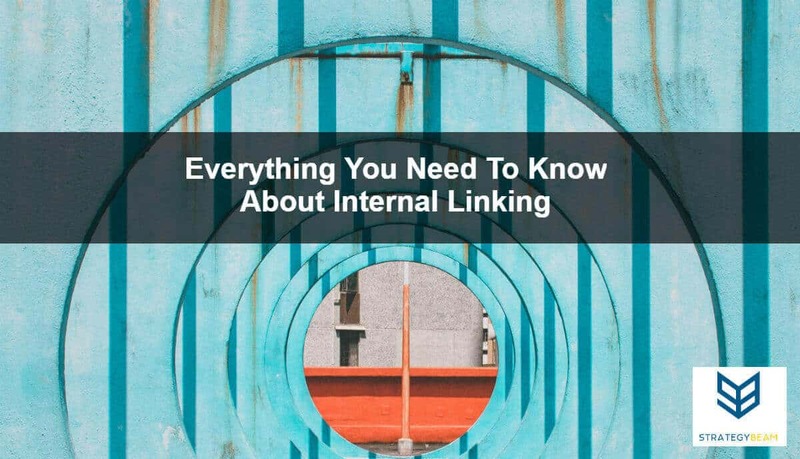 What Is Internal Linking In SEO? Your website is a collection of many landing pages, sales pages, blog posts, and other content that all link together. Internal links are what connects each of your pages on your website to each other, and all websites are created in this manner. Internal links are part of your website copywriting since you can use SEO strategies to drive more conversions. You can think of internal links as the hallways, wiring, and plumbing in your home. The architecture of your home and website are a lot alike, and search engines need a way to understand the context of your content. Internal links provide the information that search engines need to index and build thematic associations between different pages across your site. Internal links are the foundation of website design and architecture, and using an optimized internal link structure can help search engines and people understand and consume your content easily. Using exact match keywords throughout your site helps keep your website organized and structured in a logical way to help your audience and search engines understand your website. You can find the best exact match keywords for your content by conducting keyword research and use your findings as part of the overall process. Internal linking is one of the overlooked components of a website. This is because internal links play a vital role in your website’s ability to rank and give your readers the information they need to engage with your site on a deeper level. From an SEO perspective, internal links strengthened the value of the website by providing clear paths for search engines to index your content, keep your content highly organized, and extend each session of your audience on the website. Internal links also help your readers understand your content better. This is because your audience will understand the contextual relevance of different pages to the information they read on any page. You can use internal links to help people and search engines understand your content while also building authority for your site’s content. Internal links are a central strategy for SEO marketing and help your customers understand your content easily. Internal links help search engines and your audience navigate through your website. You should make sure that each internal link points to relevant and related content that will help your customers progress towards the desired goal. As you’re laying between content, you will naturally increase the amount of time that your customers spend on your content. This is because your audience will interact with different piece of content as they explore information on your site. Search engines use spiders to crawl the Internet and index content. Building a strong and smart internal link structure will help bots index content deeper on your site, and these links will help you rank higher overall. You can use internal links to improve how search engines and people interact with your website content. Both humans and robots need context to fully engage with your content, and if you integrate internal links throughout your website then you will be able to improve usability and SEO ranking. Why Is Internal Linking Important For Technical SEO? If you want your business to get found online, then you need to do everything that you can to help search engines understand that show your pages to qualified readers. As costs for paid advertising increases, your company will likely need to depend more on organic SEO to drive qualified traffic to your site. One way to help search engines index your content is by using internal links which helps spots view your web pages. This is because as search engines like Google index more pages on your site, your site’s rank will being to increase overall. Internal links provide the means that Google and other search engines need to determine the relationship between content on your site. As a result, your pages will be indexed faster and this can help your online visibility. As a result, search engines will index your information and since your content is connected in a way that helps them understand your content, your pages will rank higher and SERPs. This will lead to more qualified traffic to your site, and since you can use internal links to drive more customers to a specific goal, you will increase sales started using internal links in your content today! 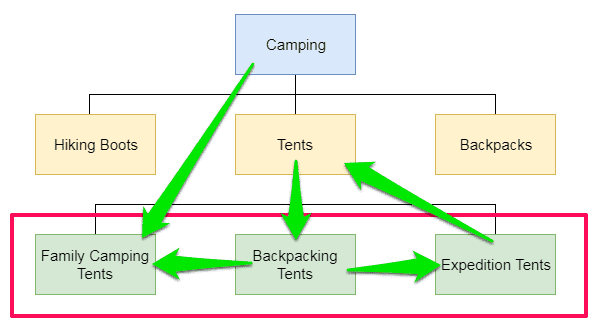 Why Is Internal Linking Important For User Experience? Internal link building has its roots in technical SEO and website architecture because internal links help search engines understand content on your site. As we looked at before, internal links have a direct impact on how search engines understand content on your pages. Building links from other websites can help boost your online presence, and internal linking helps your site in a similar manner. With the rise of content marketing and customer-centric marketing, you need to use everything available to attract potential buyers. Internal links can have a big impact on how search engines and humans understand your site through User Experience (UX). Links connecting content throughout your site can benefit your content marketing efforts since you can connect associated content together to help your audience towards the point of conversions. An example of how internal links can help your site is that most traffic to your site likely hits your homepage. Instead of hoping that your customers will find your content from this general page, you can use links to drive business throughout your site to the most valuable sections of the site. Use this to guide their customers through the content in a way that provides a great user experience and helps you achieve your business goals today! How Do Internal Links And Content Silos Work Together? Content silos or an SEO strategy where you organize content together in a highly organized group based on type message and the purpose of that content. Internal link building is one way that you can strengthen your content silos and boost your SEO strategy. As you develop content, you could strengthen your content silos by carefully linking to topical and thematically related content within each silo. You can also help internal links and content silos work together by connecting parent and child pages within each silo. This connection will reinforce the organization of your silos and this helps search engines and your audience understand and consume your content if done properly. Content silos and internal link building helps ensure that you receive maximum benefits from the content that you create or the content that you create in the future. This approach creates an organic network of content that you can use to improve your online marketing strategy. If you want to rank higher and SERPs, increase engagement with your audience and drive more sales, and you need to use content silos with internal linking today! The buyer’s journey is often a nonlinear and complex path that your customers go through before they purchase with you. Strategically placed internal link can be used to drive specific business goals on each specific piece of your content. Since most of your traffic likely comes from blog posts, you can use internal links to drive traffic from educational material to product, category and sales pages on your site. This progress is a great way to build trust with your customers through content marketing, and then use your authority to close more sales. You can use internal links to create a system where your audience receives lots of educational and supporting content to help them feel more comfortable with their purchasing decision. The only way to stand out online and increase conversions on your site is to create a comprehensive system that guides your customers through all stages of the buyer’s journey. You can use an intelligent internal linking strategy to engage with your customers no matter what stage of buying cycle they are at today!